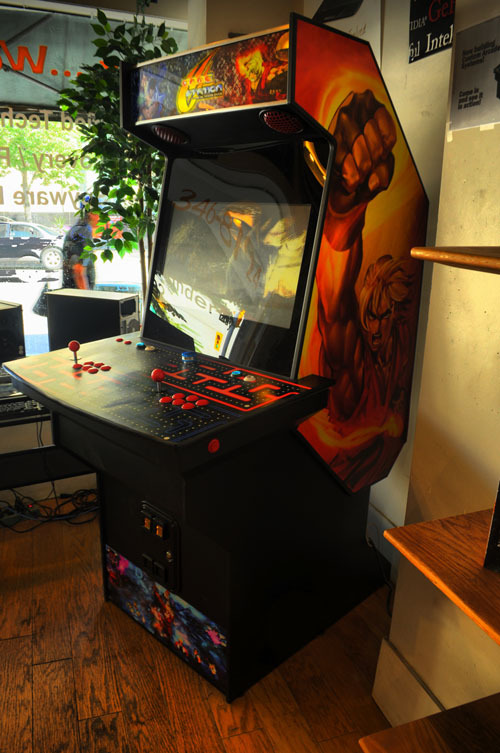 We build custom arcade cabinets. 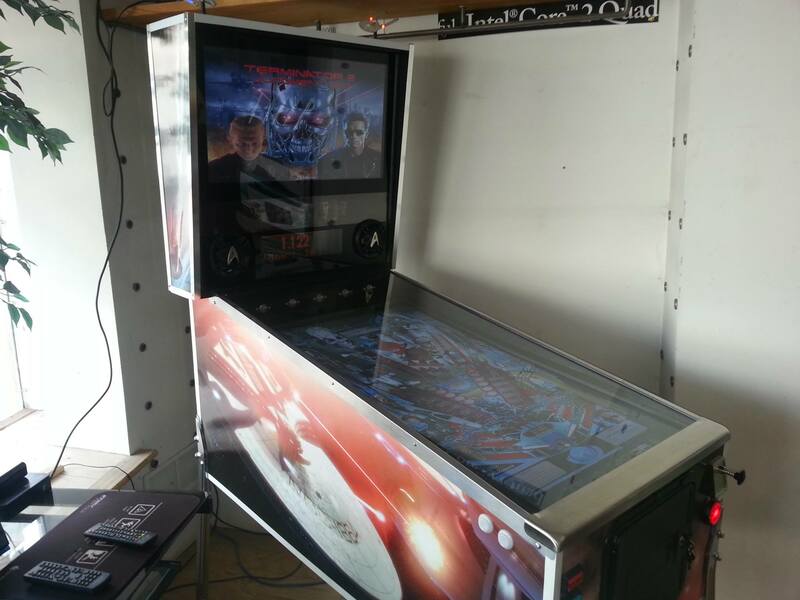 These are Mame ready, and are 100% custom, you want something special we’ll build it for you! 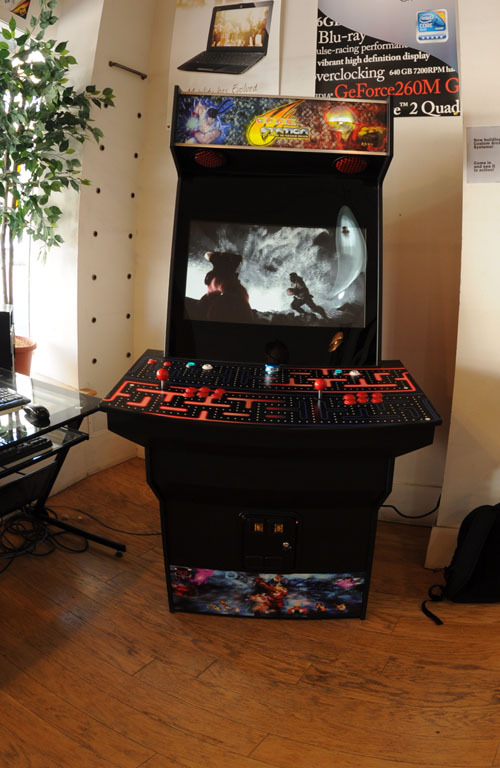 We have a demo unit in store, but since this is ours we build it to OUR needs, Street Fighter 4! Sanwa sticks and Sanwa buttons (in the classic 6 button layout) with Street Fighter art work. This needs to be seen to be believed, Ryu’s Fireball on the right side actually glows and looks just like lightning! 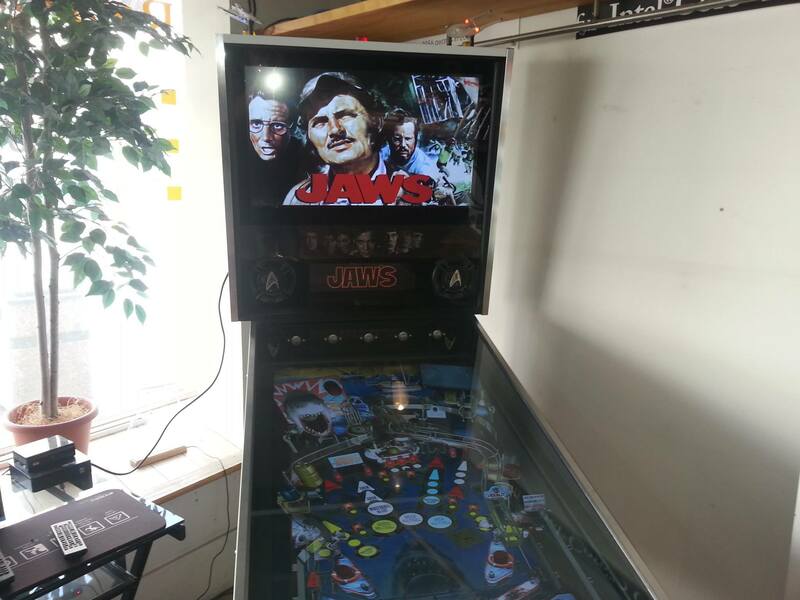 We can also build tabletops, cocktails,Virtual pinball (Amazing)!! !, and jukebox cabinets. 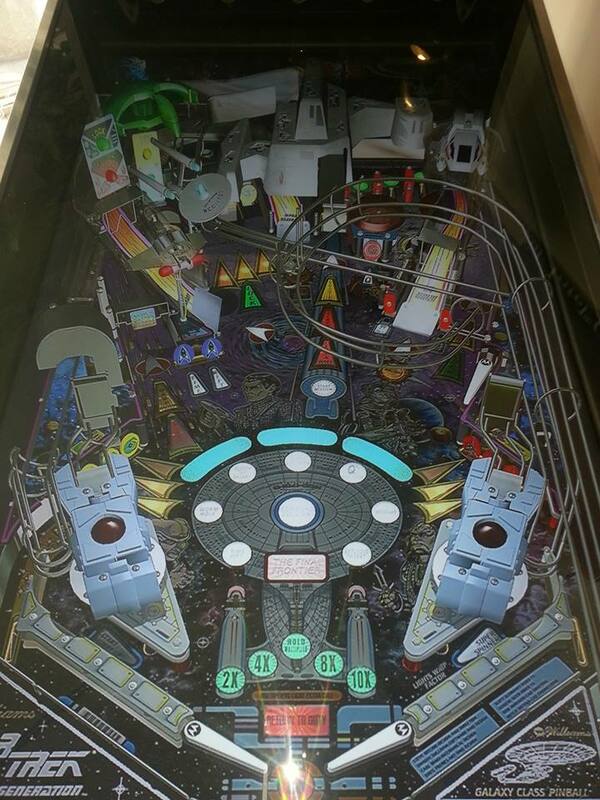 Want a trackball for golf games or light guns for shooters, No Problem, its all possible. We can make something for YOU, just ask and we’ll put together a custom package. Here are some pictures of our demo unit.